As much as AMD has been ridiculed for its expensive purchase of ATI, the only part of the combined company that’s actually producing exciting product these days is the graphics division. Hot on the heels of the release of the Radeon HD 4800 series AMD has three new Phenom processors...unfortunately this isn’t an architectural change, and what we have today are two lower clocked and one higher clocked model. 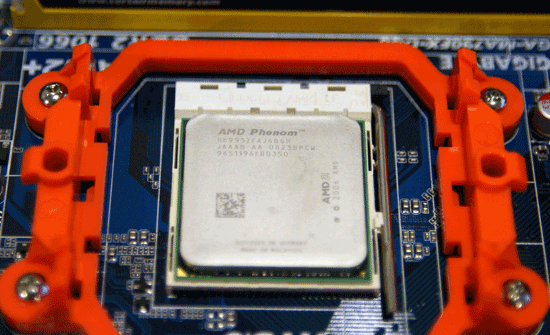 The first processor is the Phenom X4 9950 Black Edition. Clocked at 2.6GHz, the Black Edition moniker indicates that it ships completely unlocked. Unfortunately the unlocked nature doesn’t really help you too much as the 65nm Phenoms aren’t really able to scale much beyond 2.7GHz consistently, so it’s mostly a marketing feature (Update: With some of our motherboard issues out of the way, detailed later on, we may be able to challenge this limit with the 9950. More results coming). The next two are potentially more interesting, AMD is introducing the Phenom X4 9350e and 9150e. The little-e indicates that these are energy efficient processors, in fact they are AMD’s first quad-core Phenoms to carry a 65W TDP (the rest of the lineup is 95W, 125W or 140W). Unfortunately AMD doesn’t achieve these low TDPs by simply power binning its Phenom processors, instead what we’ve got here are two very low-clocked Phenom CPUs: 2.0GHz and 1.8GHz, respectively. By reducing clock speed and lowering the core voltage, AMD was able to hit a 65W TDP (something we’ll prove a little later). 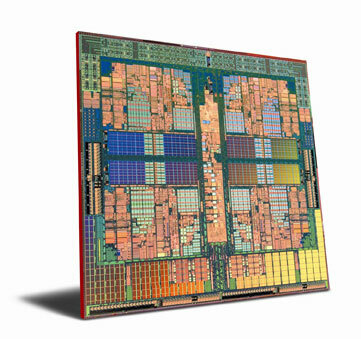 The 9150e also uses a lower North Bridge clock of 1.6GHz instead of 1.8GHz for the majority of the Phenom line. The new Phenom X4 9950 will occupy the $235 space, which will push the 9850 down to $215. 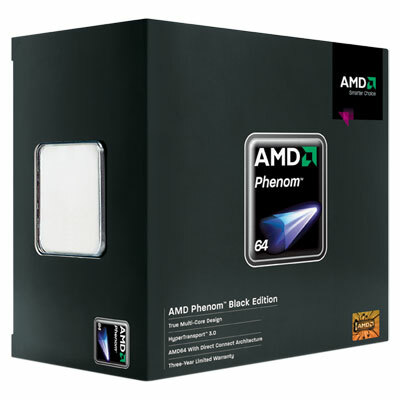 The Phenom 9750 (no official price change) will go away temporarily to make room for the new chips at the high end, leaving the 9650 at $195 and the 9550 at $175. Then we have the new e-edition processors which are overpriced at $195 and $175 for the 9350e and 9150e, respectively. The X3s get particularly interesting, we're expecting the 8750 to end up in the $170 - $180 range, the 8650 will be a $140 - $150 part and the 8450 will be AMD's answer to the E7200 at $120 - $130. The price cuts themselves aren't tremendous, but they should be enough to make AMD even more competitive than the last time we visited this issue. Missing from the benchmarks is the Intel Core 2 Quad Q9550 Yorkfield 2.83GHz 12MB. How would this chip stack up against all others tested? "By altering its multiplier and increasing the CPU voltage to 1.45v, we were able to take our Phenom X4 9950 to an respectable 3.1GHz using nothing but a stock AMD PIB cooler. Higher frequencies were possible, but we couldn't keep the system 100% stable, so we backed things down to 3.1GHz. While running at that speed, we re-ran some tests and also monitored core temperatures and found that the chip never broke the 60ºC mark, and hovered around 58ºC under load - at least according to AMD's Overdrive software. That is one heck of an overclock and relatively cool temperatures for a Phenom in our opinion. If the majority of chips have the same amount of headroom as ours, we suspect the 9950 Black Edition will be appealing to AMD CPU enthusiasts looking for the best the company has to offer." Increasing the NB core (IMC) clock (in Phenom it runs async from the Core Speed unlike Athlon which is Sync) drops latencies (especially L3) and increases memory performance/throughput, which in turn improves system performance. The Phenom starts to come to life when you hit a 2.6GHz core speed with a NB core clock at 2200MHz+. Depending on the application and CPU, increasing NB core speeds (getting up to 2200MHz+) can result in performance differences from 3%~12% in most cases. I have an AMD based PC at home, and I look forward to another AMD-based pc (780G and Phenom X3 or X4). These being said, I think for a server you really really should go for an Intel configuration. Also, at 3.4 GHz a P4D probably is one hell of a power draw.